the future of James Bond by hiring Daniel Craig. 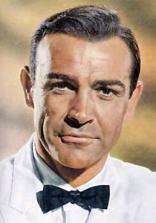 the James Bond we know and love! A Bond Fan's Nightmare Come True! Hollywood and EON's legendary ego. Daniel Craig Is Not Bond! should really be doing as an actor with his looks! Would you cut off your nose to spite your face? behind James Bond have done that and more! the opinions of Bond fans. What Do the Press and the Public Think? Opinion Is Against Craig and Casino Royale! Press is Saying About Craig! What Bond Fans Are Saying About Craig! Bond 007, you are not alone. anywhere. Click here to view some of our fan art. Warning language used may be offensive to some. you will find it a thought provoking read. thought out article. Click here to read. spy, an impostor, a pretender, a double-agent. Bond, click here to read. Click here to go to the News archives. Click here to see our Movie Review Archives. Classic CraigNotBond.com Fan Parody Trailer By Marcus Doherty. and fan reviews of Casino Royale.